and the grocery stores emptied out. How long could you all survive on outdated peanut butter and a few cans of soup? Haven't given it much thought? Well, we have, and we've come up with an ingenious solution to food preparedness for you and your loved ones. 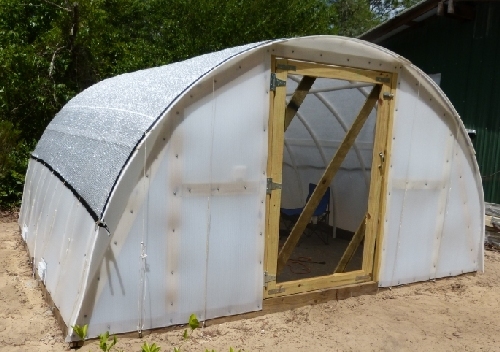 Skip the Sales Pitch and order this Greenhouse Plan Now! Please note: This Guide is available in e-book (electronic) form ONLY, to be downloaded via the Internet. In other words, a paper book will NOT be sent to your house. 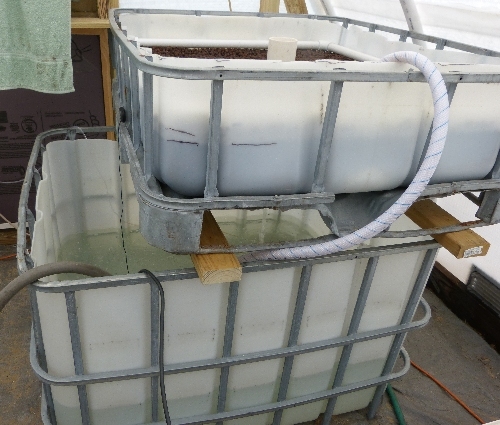 A while back, I was watching a documentary on TV about hydroponics. It featured a man who you might call a "prepper", or one who prepares for personal and family survival in the event of disaster or breakdown of the social system. 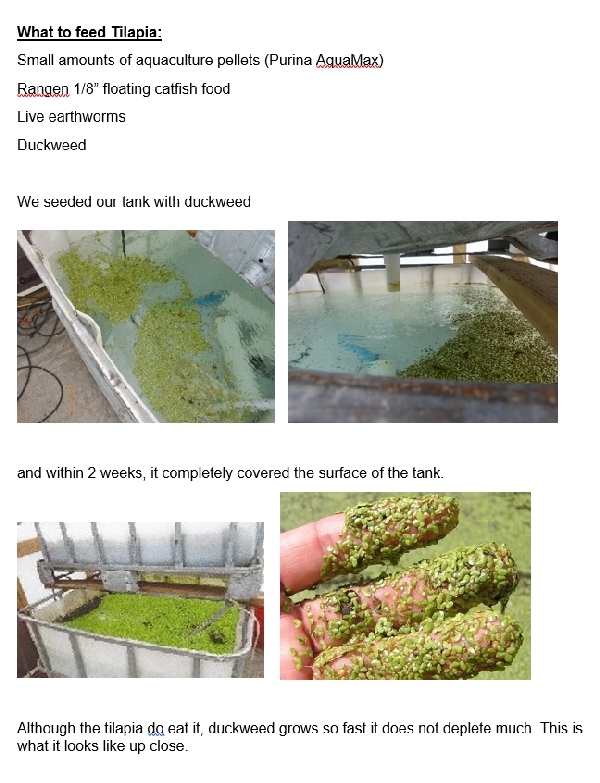 He had a beautiful greenhouse filled with hydroponic units, and was actively growing tons of delicious and healthy-looking vegetables for his family. But it struck me: all of his units utilized electricity to run the pumps and aerators and fans! This got me to thinking; what would he do in the event of a power failure? Whether a natural disaster caused power outage for several days or weeks, or just failure of "the system" to provide electrical power to “the grid”? 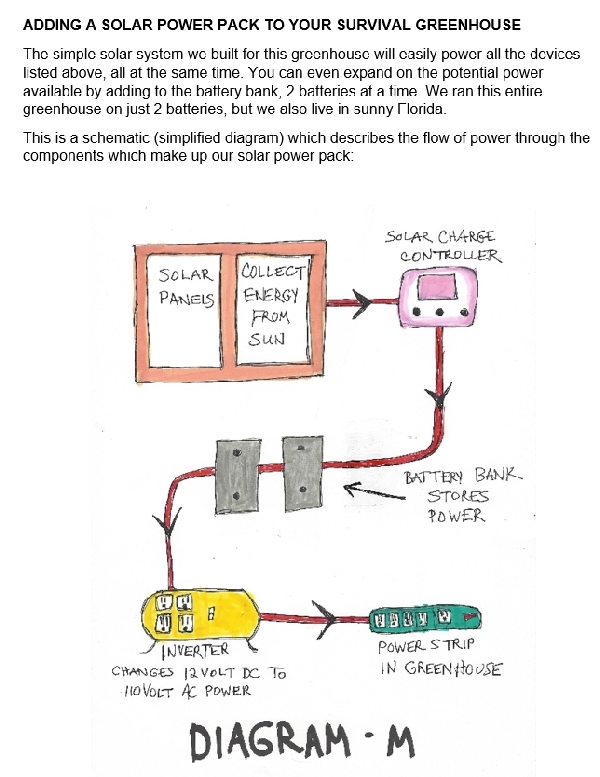 Thus was born our idea of a Survival Greenhouse Plan, one which can operate either on or off “the grid”. 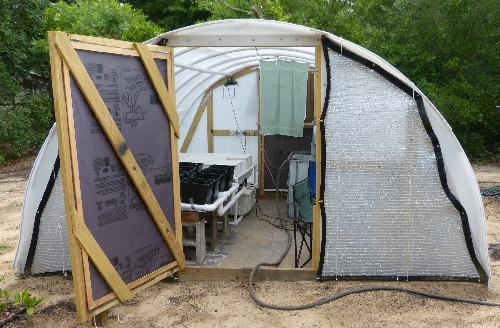 We spent 2 years developing the concept, and building and testing our own prototype greenhouse. 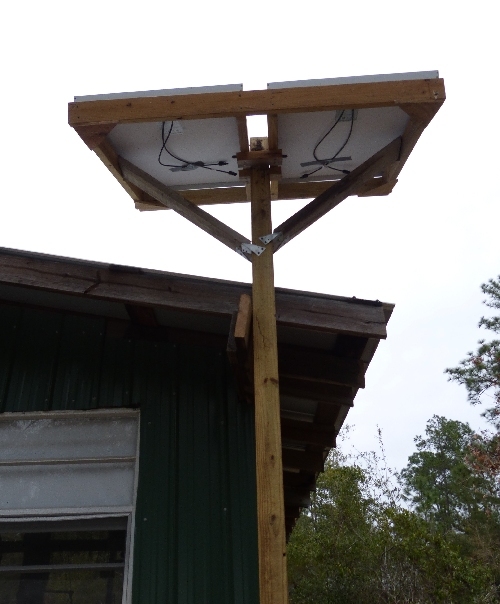 It functions beautifully, either on or off the grid, using electric power or solar panels. All in a compact 11.5’ X 12’ structure. 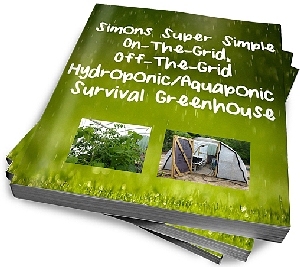 Simon's Survival Greenhouse Guide is a very simple solution to your family’s food needs should disaster strike! 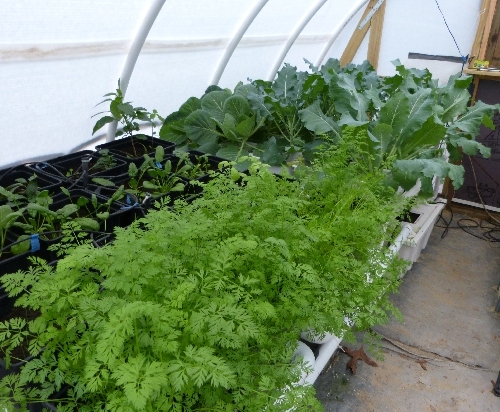 Or even if it doesn’t… We thoroughly enjoy our own survival greenhouse and use it year-round. But, in the back of my mind, I never forget that disaster could eventually strike, rendering most folks totally helpless and looking for food. We now have an excellent off-the-grid source of food, right in our own back yard. 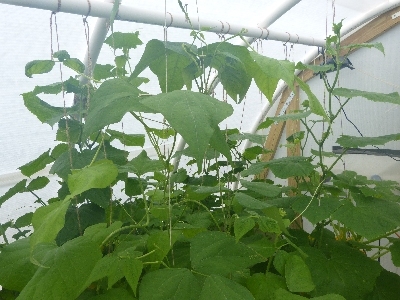 We are ready, we have a greenhouse plan... no matter what comes our way …………are you prepared? 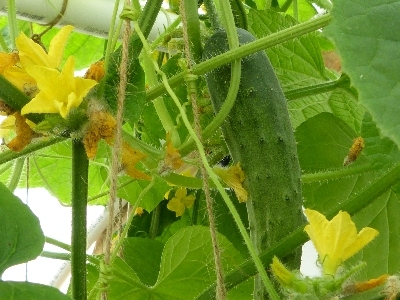 A survival greenhouse is ideal for: urban dwellers, suburbanites and cold climates (veggies all winter). 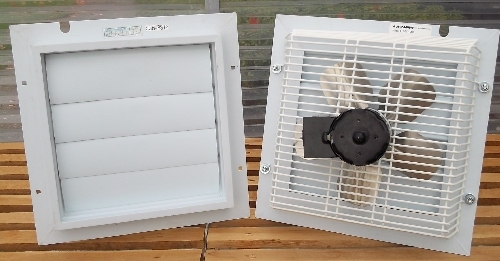 Yet it actually provides added security for even rural homesteads in hot climates (like ours). ANYBODY can benefit from having a greenhouse plan, even if they have to provide supplemental lighting. But this greenhouse, "Hoops of Hope" is very special, and our hope is that after reading all about it here, you'll want to build one for your family. For some very interesting reading and superb recommendations for Survival Planning for your family, check out this website: Our Favorite Gadgets/ Survival. There you will learn how to preserve and safely store your own home-grown heirloom and organic veggies. You can also vary your disaster food stores with the best vacuum-packed commercially prepared MREs. [That's Meals Ready to Eat]. There are also sections on equipment, weapons, gear and gadgets you should stockpile in your home, as well as assemble the perfect Bug-out Bag. 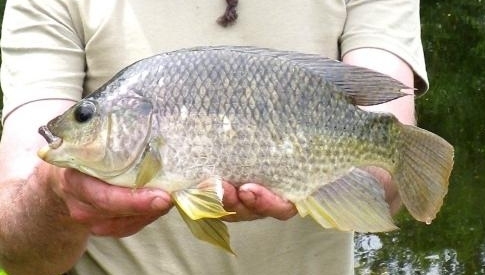 Give this promising new website a look-see. It's fun and well worth the trip. This is quite an ebook! 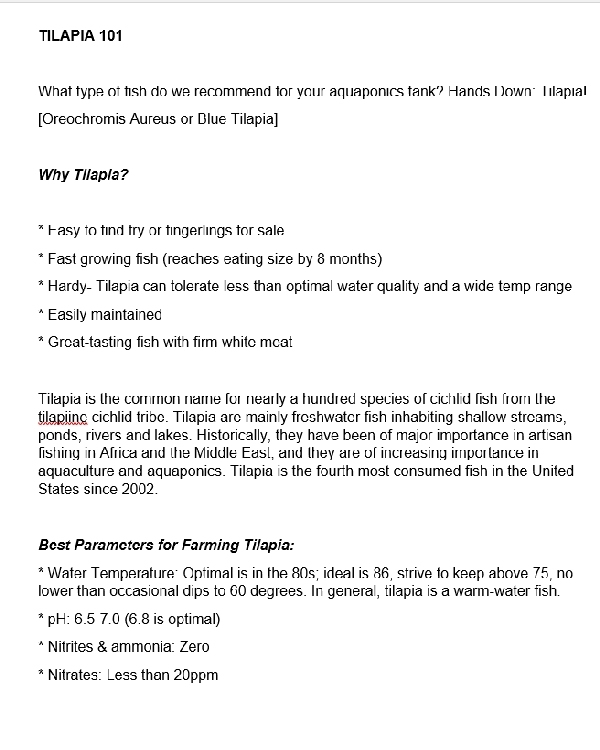 Take a peek at the Table of Contents of this great new ebook from Hydroponics-Simplified. 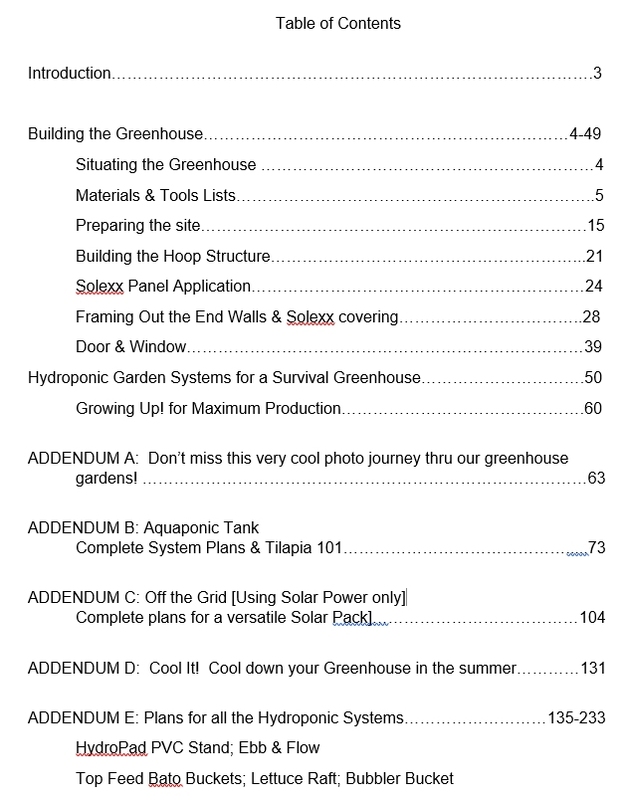 The first 39 pages of the book gives explicit instructions for constructing the Greenhouse itself. 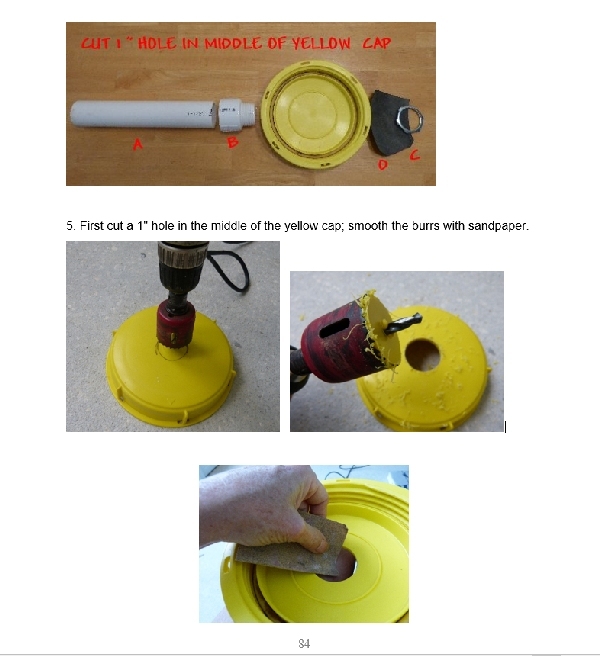 These parts lists and instructions are so clear..... if you can read.... you can succeed. 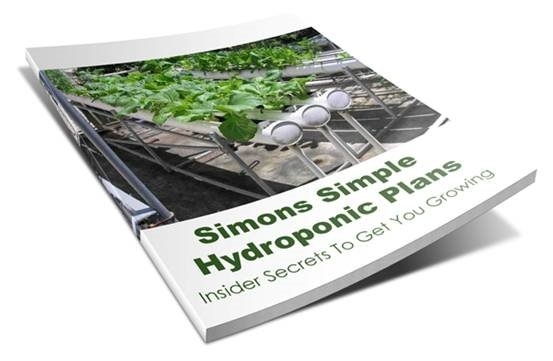 In keeping with our site philosophy to "Keep things simple", our sales pitch for this fantastic 233-page ebook, "Simon’s Super Simple On-The-Grid, Off-The-Grid Hydroponic/Aquaponic Survival Greenhouse", concludes here. We will not torture you with pages and pages of sales talk. 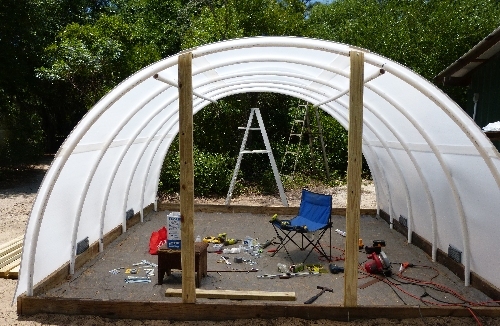 We believe in the survival greenhouse plan concept, and recommend it for anyone with a 12x12 foot plot of earth. 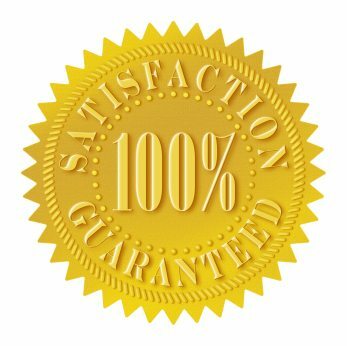 We have built what we feel is the best structure at the best price, and written an excellent ebook to tell you how to build one, too. We think you will see the value in this offer, and will opt in for your copy. Now, how to order this Greenhouse Plan? 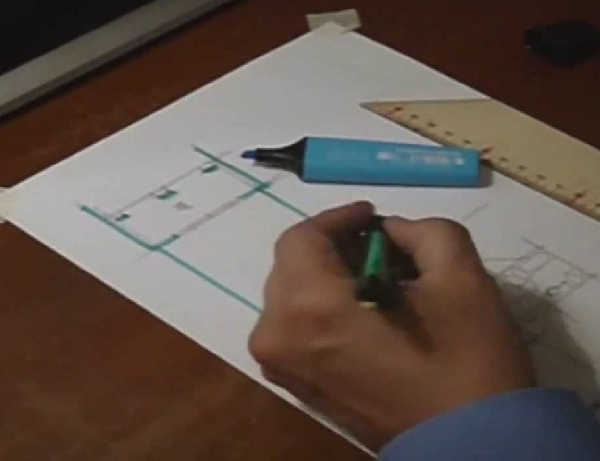 Prefer to hold printed plans in your hand as you build? Many of our ebook customers have told us they downloaded their complete ebook copy onto their hard-drive. When they needed plans to build a certain component, they simply print each section out as needed.